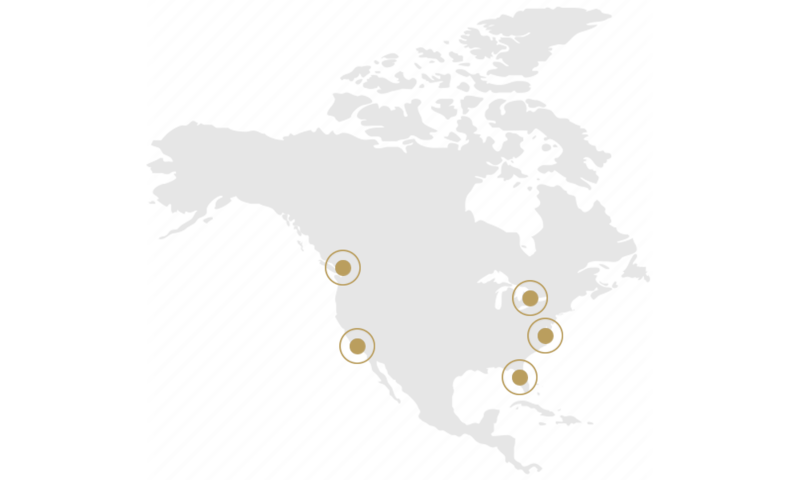 The Creators Society's members are a community of people in the animation industry. Often times people think of only the artist and animators, but animation requires so many more talents from animation development through animation distribution. Our society's goal is to be inclusive to all those involved in any part of the animation process. In order to do this we created an organizational structure to serve all the different areas of animation at the same time working to bringing them together as one society. We are still in the early stages of building our organization, so our organization structure is not set in stone. Every member of the Society will be put into a branch when they join. A Branch is a grouping of members who perform similar roles in the animation process. For example, if you are an animation writer you will be placed into the Development Branch, or if you are an animator you will be placed into the Production Branch. Each branch is responsible for planning events specific to the interests of its members. This helps ensure all members will have events planned for their specific interests. The great part is any member is welcome to attend events put on by other branches, so they have the opportunity to expand their knowledge across different specialties. 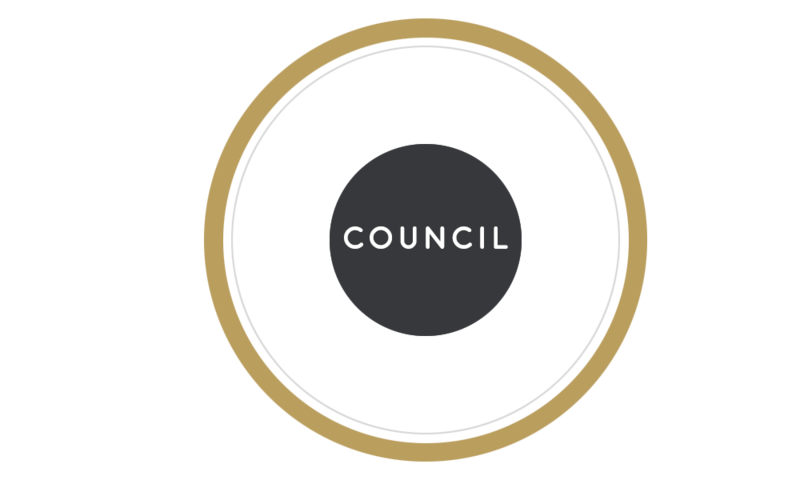 Every year each branch will elect a council to be the leadership of their branch within The Creators Society. At the first meeting in December after the election results have been announced the council of each branch will elect a chief and two vice-chiefs to be the leaders of the council. The chief will also become a member of the board of governors representing their branch on the society level. The four officers of our organization are responsible for running the Society on a day to day basis to carry out the plan the board of governors has laid out. The officers include the President, Vice President, Treasurer, and Secretary. 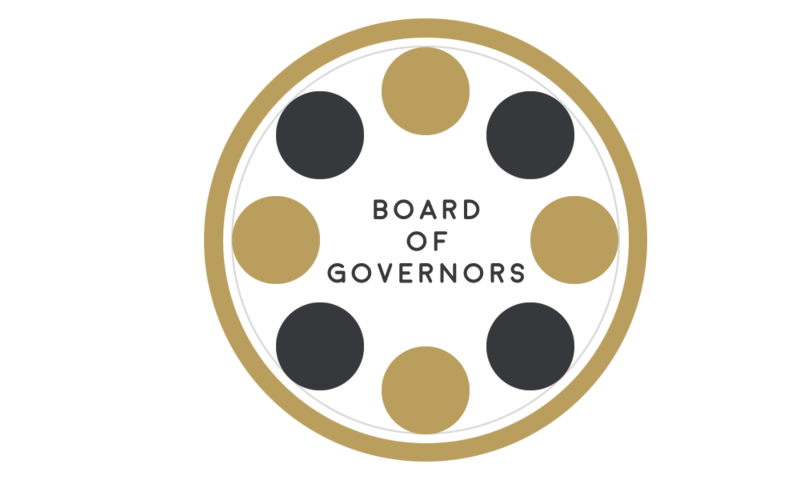 The Board of Governors are the members of the organization who are responsible for guiding The Creators Society. 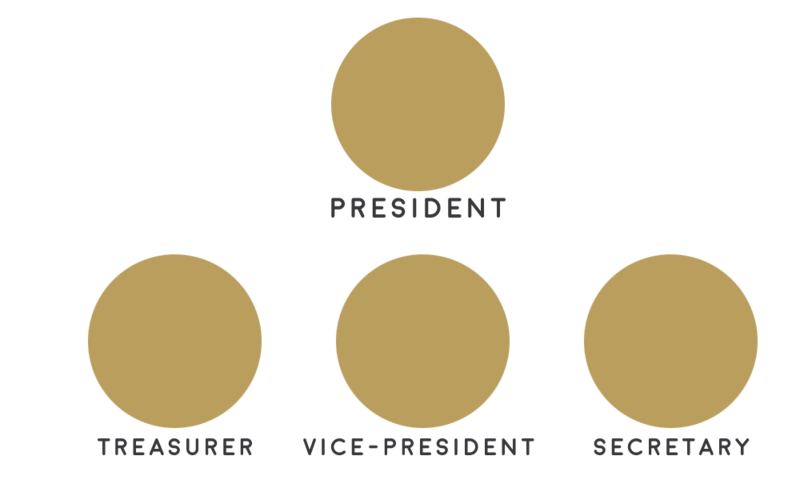 The Board consists of the 4 officers, and the chiefs of each of the Branch. Also, if there are any regions established in addition to the Los Angeles Region a vice-president of each region will also be on the board. 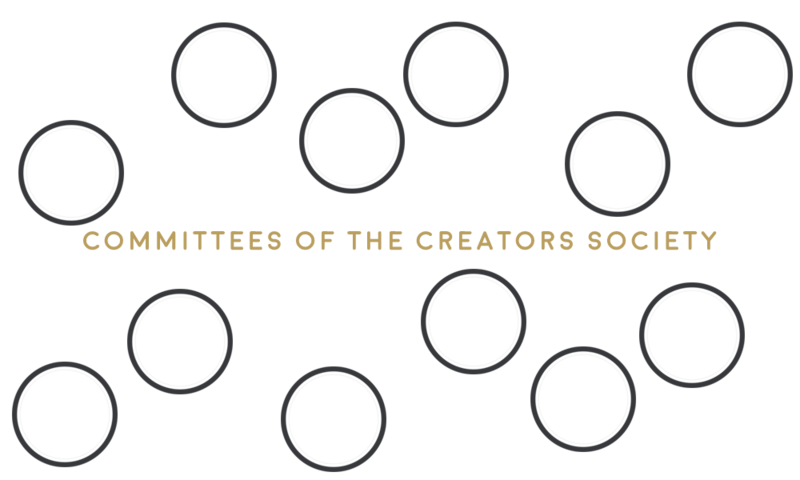 Once a region outside of Los Angeles County gains 100 members the Board of Governors can decide to make that area a new region of the Creators Society. Each region will elect its own officers, a Vice President, Treasurer, and Secretary of the region. The Vice President of the region will also serve on The Board of Governors if their region's membership makes up at least 10% of the total Society's membership. 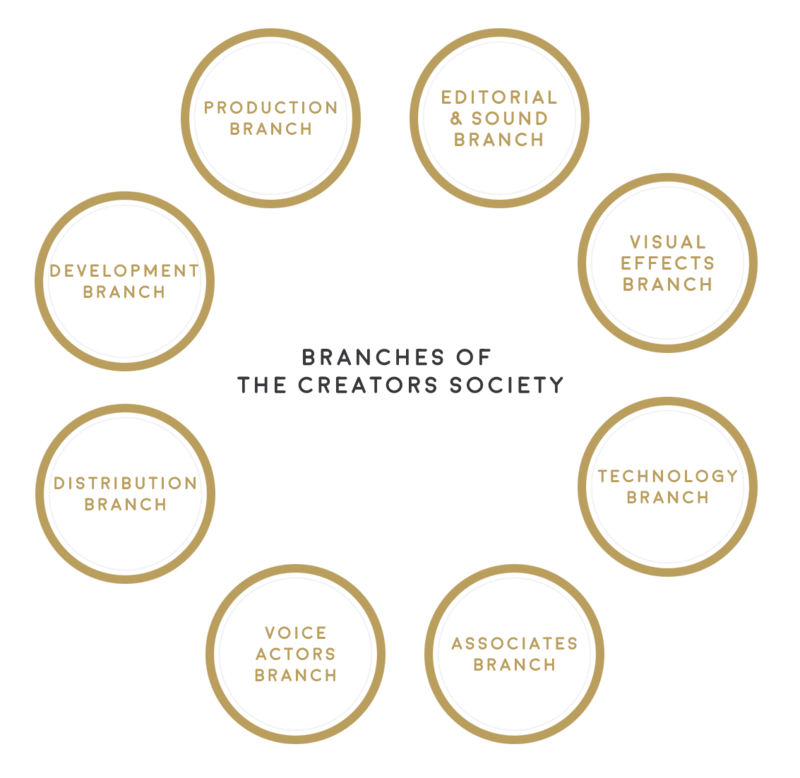 The Committees of The Creators Society are independent of the Branches, and can consist of members from multiple Branches. They are responsible for driving specific programs or tasks for the society at large. Each committee will have a chair who will lead the committee.